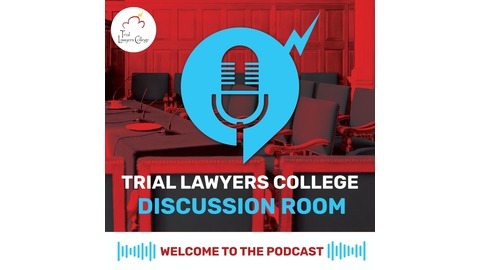 The Trial Lawyers College Podcast talks to leading attorneys, TLC board members, and faculty about the ideas and the issues that are affecting trial lawyers today. The TLC podcast covers courtroom strategy, communicating with jurors, connecting with clients, methods that drive success, balancing healthy relationships with a busy practice and more. 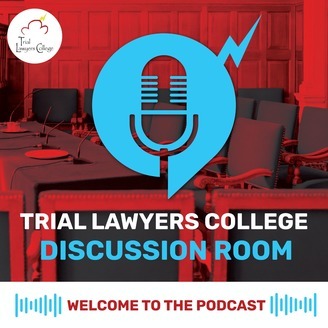 Welcome to episode 48 of the Trial Lawyers College Podcast. Donal McRoberts is our guest in this episode. He started his practice in 2011 handling family law and criminal defense, and by chance had an opportunity to represent a person injured in a car accident where the insurance company was denying responsibility and he’s been representing injured people since. Donal is a graduate of the 2018 July College Class and in this episode, he shares some insight into what goes on during the famous Flagship 3-Week College; the inspiration he felt while he was there and following, the connections he made and still has, and how the methods have drastically changed the way he feels about law, and how he uses them in his practice. Join Donal as one of our students and learn methods that will change the way you practice law. You can register for a course or apply to the 3-Week College on our website at www.triallawyerscollege.org.